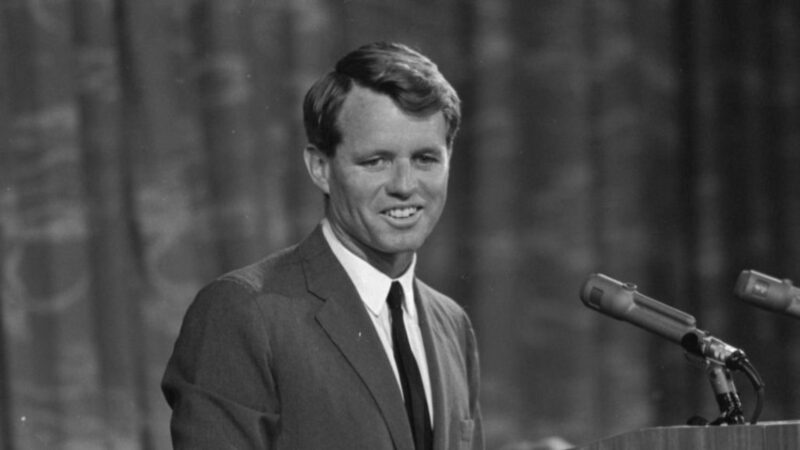 Robert Kennedy. Library of Congress, public domain. It would be funny if it wasn’t so distressing. After every recent election in the West, the reaction of so many pundits has been to ask: Why are the anti-establishment parties so strong again when GDP has been picking up recently? But perhaps the pick-up in GDP is so removed from what really matters to people that voters are seeking significant change. Voter’s intuitions – that our economies are not aligned with what really matters to them – are mirrored in the evidence. The research is clear: growth in GDP has not been widely shared, instead it is the wallets of the already wealthy that have expanded. Moreover, while policy makers strain to squeeze more GDP from a stagnating economy, we know that, beyond a certain threshold, increases in GDP per capita don’t bring greater progress. Quality of life is about more than gains in average incomes. GDP doesn’t capture the value of non-monetized or non-marketed work, like housework, raising children, caring for the elderly, or volunteering. It is blind to the carrying capacity of our environment. To avoid another fifty years with an economy geared up for inappropriate goals, we need to cultivate a new economic vision. We need an ambition that relates to people’s daily experiences, not the growth of abstract numbers. This is the vision of a ‘wellbeing economy’: an economy that promotes wellbeing for people and planet. It’s an economy that meets the needs of all within planetary boundaries. It is fair, sufficient and ecologically sustainable. This isn’t an unrealistic pipedream of a utopia where people flourish and the planet survives, it is an ambition being realised, right now, by innovative and creative people who are taking on the challenge of growing wellbeing, rather than just financial wealth. We see this happening in communities, in businesses, and even in the corridors of government. Take Costa Rica. Most of the time, they run completely on renewable energy. In 2017, their energy production was 100% renewable for more than 300 days. And while the rest of the world is desperately trying to halt deforestation, Costa Rica is actively re-foresting, doubling its forest coverage between 1983 and 2016. Coupled with low poverty and inequality compared to other countries in the region, they are punching above their weight on the Social Progress Index. No other country is better at marrying individual wellbeing, life expectancy and equality with a low ecological footprint. That’s true leadership. Closer to home, consider Scotland. In 2016, the Scottish Government published a Circular Economy Strategy which sets out a vision for an environmentally sustainable, low-waste Scotland, with several new regulations soon following. It has cross-party support for the Living Wage and has recently created a commission to tackle inequality and poverty. And turning to Slovenia, we find a country where inequality and the gender pay gap are among the lowest in the OECD. Last year, after extensive public dialogue, they published their Vision 2050. Its core themes are learning for life, innovative society, trust, quality of life and an identity that is inclusive and outward-looking. Examples such as these offer hope for all of us. There are many more examples around the world where governments, businesses and communities are putting the wellbeing of people and planet first, and living up to their promises. But these pockets of progress on wellbeing are not enough. In isolation, they cannot challenge the status quo. Deep, sustainable change needs a comprehensive, cooperative, and collaborative approach. Fortunately, in October last year, several national and subnational governments from around the world, including Costa Rica, Scotland and Slovenia, decided to establish a group of governments, somewhat akin to the G7 or the G20, that commit to creating wellbeing economies. They agreed that only by collaboration and sharing of lessons will efforts to create economies that serve people and planet have a fighting chance of being realised. With plans for a public launch later in the autumn this is a pivotal moment for such an initial group of governments to take up Robert Kennedy’s challenge and lead the way in setting a new course for 21st century progress and development. This new form of governance and policy-making is needed in a complex, interconnected world. If we are to tackle the shared global challenges we face, from rising inequality to the effects of environmental degradation and climate change, then we need exactly this kind of international co-operation between countries who recognise that a wellbeing economy should be a key aim in their public policy frameworks. Working together to promote policies that improve all our lives and protect our planet offers this ambitious group of governments the means to demonstrate to the rest of the world that the shift to a new economic and social paradigm with the wellbeing of people and planet at its core can be done. In doing so, they will encourage other governments to follow their lead. Realising wellbeing economies will require political will and bold leadership. It’s time for political leaders all around the world to step up and commit to a new vision of wellbeing. People and planet won’t wait another 50 years. Kate Pickett – University of York, and a National Institute for Health Research Career scientist. She co-founded the Equality Trust, a non-profit organisation seeking to explain the benefits of a more equal society, and is the co-author of The Spirit Level: Why More Equal Societies Almost Always Do Better.